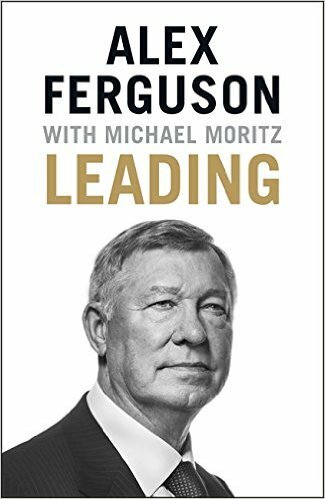 Sir Alex Ferguson has just come out with a book called “Leading” which he co-authored with Sir Michael Moritz, chairman of Sequoia Capital. I was lucky enough to see them interviewed by the Financial Times editor, Lionel Barber, at the Southbank centre in London. The talk was fascinating, and the book is well worth reading. Indeed, even as a Liverpool fan , I have to admire Alex Ferguson’s track record as manager of Manchester United: he won 17 league titles, 14 domestic cups and 2 Champions leagues. Admittedly, he didn’t reach Liverpool manager Bob Paisley’s 3 Champions leagues, but no-one is perfect. To get some sense of what made him tick is intriguing. What is clear is that he was obsessed with football. His family knew that was his priority, which meant missed Christmases and even sacking his son when he wasn’t up to scratch when playing for Manchester United. His knowledge seems almost encyclopaedic. When Lionel Barber revealed that he had supported Tottenham Hotspur since 1961, Sir Alex was quick to say that was the year Spurs won the “double” (the league and the FA Cup). One interesting thing was despite his success, before every game he always had that churning feeling in his stomach, especially at Anfield. But whatever the feelings, his goal was always to win. He learned more in defeats than victories to make sure it didn’t happen again. Another character trait he developed was to make decisions with imperfect information. In the book, he chides those that lack confidence to stick to decisions or those that are in a perpetual quest for the last morsel of information using that as an excuse not make decision. He believes consistency is critical in leadership so people know who you are. He had a reputation for losing his temper, but he found when it was for the right reason it was fine and he never held on to anger. He views listening as critical, and reads lots (with a particular fondness for books on the military and American history). The path to transforming Manchester United started on his first day in 1986, when he wasn’t afraid to tell the players to stop drinking (the team had a problem). In the end, he sacked some of the older and less willing players, though he regretted it took him so long to make the call. He set up a much bigger scouting system locally in Manchester and motivated the scouts to find the best young players in the town, not just the street. In players he looked for drive and a good work ethic, which trumped talent alone. The best players Ronaldo, Giggs, Cantona, Beckham had to be dragged off the training ground. Bryan Robson, despite shoulder injuries, would do 1000 press-ups a day. Players were dropped if they missed training. In the long run, principles were more important than expediency. As for his style of managing, he focused on relentless homework, training, and a good organisation. He would dwell on opponents weaknesses not strengths. He kept a close eye on player ages – the team’s median age hovered around 26 for a remarkable 25 years. He would have a four cycle to turn the team over. He saw that exceptional players had to be challenged to in order not to get bored. Equally, he saw that clashes between players could destroy a team. One such example was Teddy Sheringham and Andy Cole who constantly clashed. On one occasion they argued in the tunnel at half-time. Sir Alex told them if they ever repeated that behaviour they would both be sacked. It never happened again. He was careful how to define success – rather than telling them to “win the league and two cups” he would tell them to “win every match”, which made it more tangible. He also learned that his physical presence around players during training was as important a motivational tool as anything. Sir Alex may not seem to change much, but he did incorporate the latest sports science. Some were accidental – an ophthalmologist wagered that his new grey away kit would lead to losses as the players would not be able to see other. This proved to be correct. Sir Alex then took her on, and she worked with the players to widen their peripheral vision. Others were more planned. He took to latest developments in sports science. Players would get full physical tests before and after their summer breaks. This included every dimension of their physicality as well as blood tests. He shifted away from excessive running in training to more core work. He incorporated video analysis around training and try to eke out 1% improvements in players. As for the broader club, he ensured he knew everyone from the laundry people to the groundsman. On foreign trips, he made sure to make much of the hotel chef. At the same time, some traits from his upbringing never disappeared, most notably his frugality. Indeed, he got so sick of his players swapping shirts or giving them away, that he told them they had to pay for the replacement shirts out of their own pockets! Finally, he sees leadership as a quest to never stop building – otherwise stagnation follows.